Jan-Ove Becker | Littler Mendelson P.C. Jan-Ove Becker advises companies on national and international employment and labor law. He concentrates in corporate reorganization, restructuring and corporate transactions. He also advises on labor relations matters and negotiates with group, company and local works councils. He has an industry focus on technology, media and entertainment. He is also advisor to numerous venture capital funded companies. 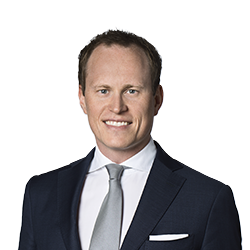 Jan-Ove is a member of our practice groups focussing on newly emerging legal playing fields like robotics, artificial intelligence and automation as well as human rights and corporate social responsibility. He litigates high-profile cases up to Federal Employment Court and the European Court of Justice. Jan-Ove is a self-published author and has been editor of a journal on bankruptcy law for several years. He was admitted to the bar in 2012.